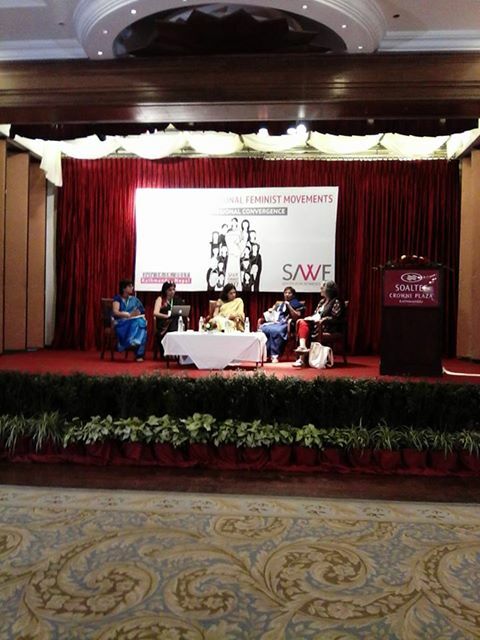 Dr. Sepali Kottegoda of WMC, was on the opening plenary on the 14th of July, 2017, at the South Asia Women’s Fund (SAWF) Regional Feminist Movements in Kathmandu, Nepal. She discussed the current global and regional political climate and its impact on women’s rights organisations. Renu Rajbandani (Nepal), Sara Hossain (Bangladesh), Huma (India), and Farida Shaheed (Pakistan, former UN Special Rapporteur on Cultural Rights) were the other speakers on the panel.